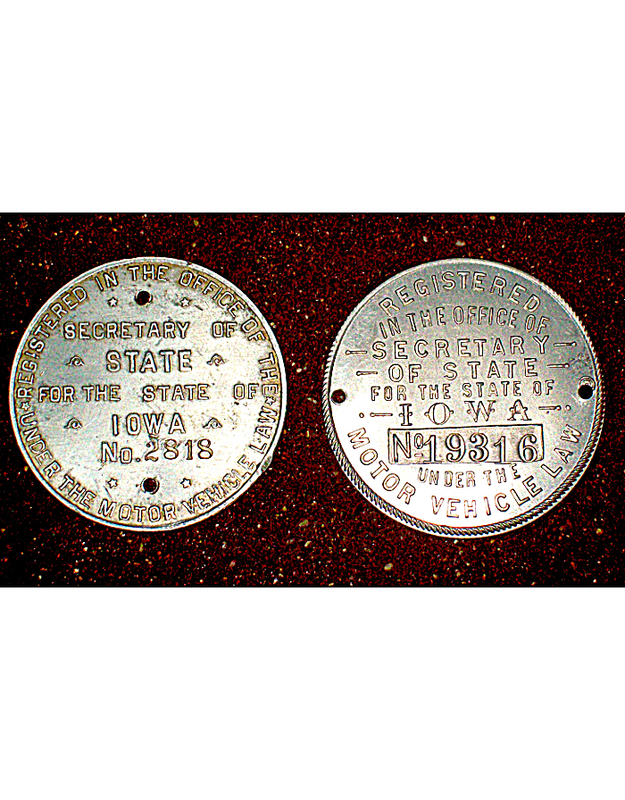 Iowa in 1904 became the first state west of the Mississippi River to require that automobiles be licensed; there was no local licensing in that state. 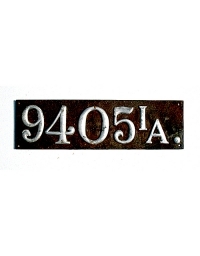 Numbers were issued sequentially through the end of 1910. 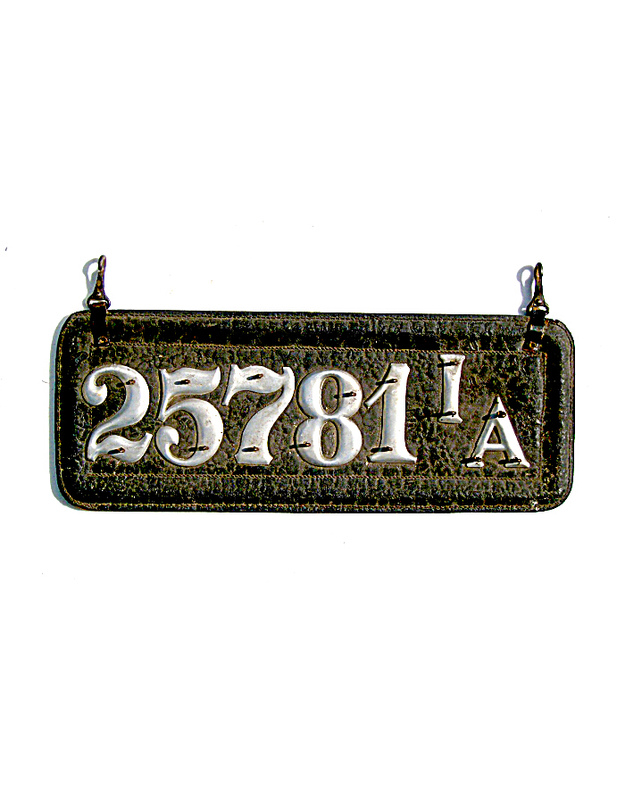 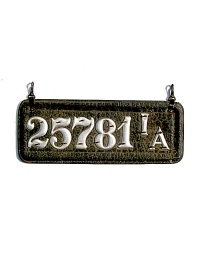 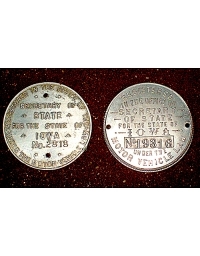 Owners were required to provide their own tags from the number on a dashboard disc issued by the state (there are two distinct styles of these discs, as shown). 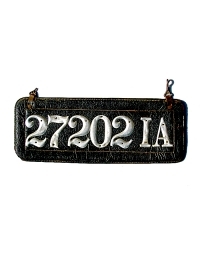 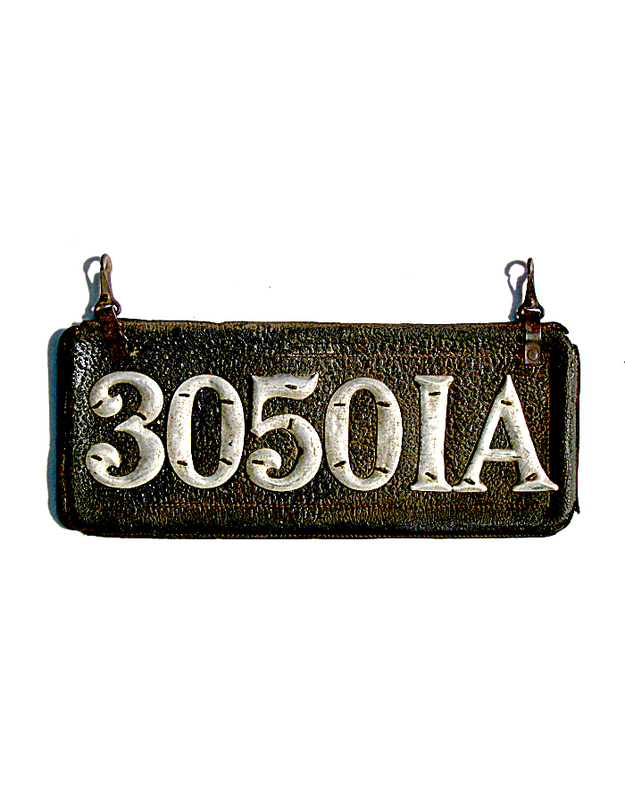 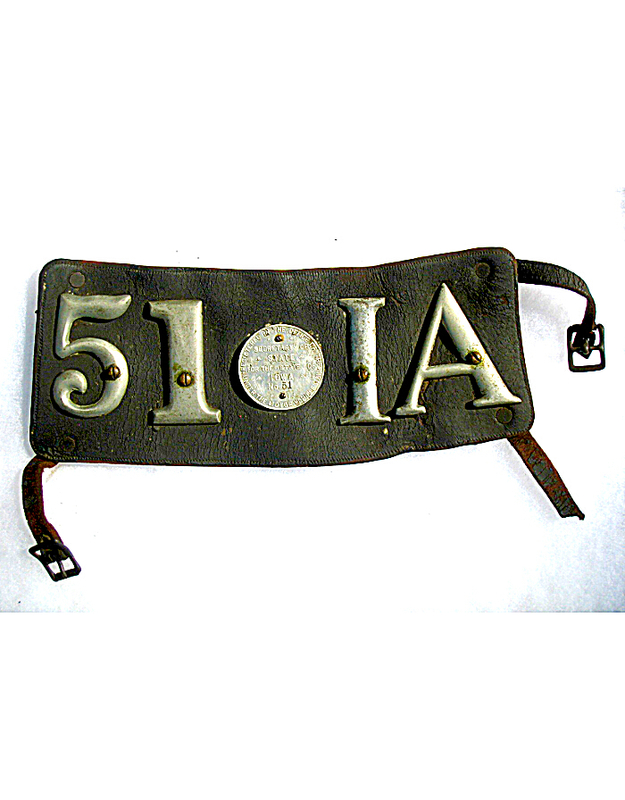 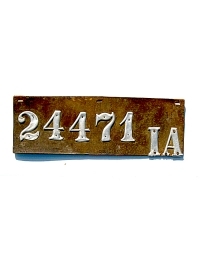 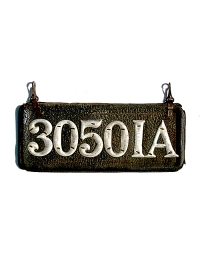 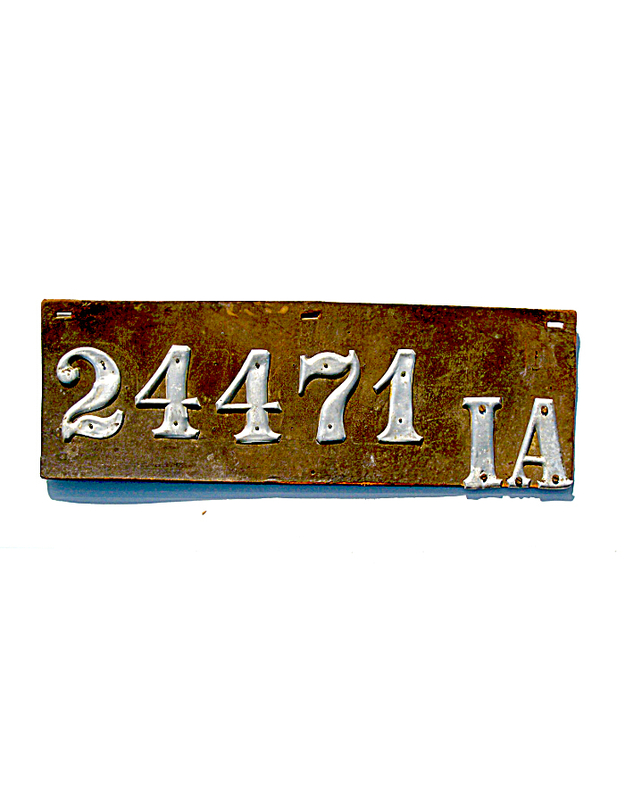 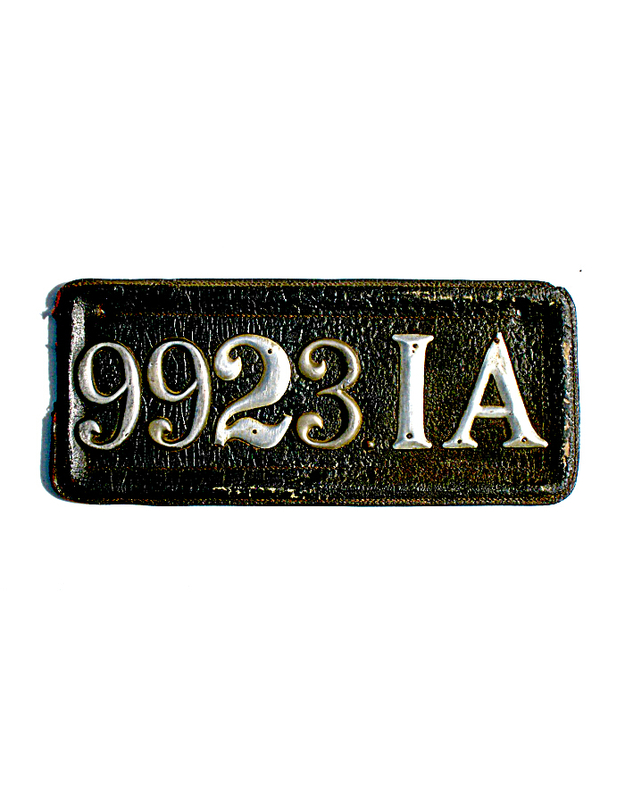 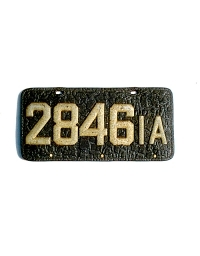 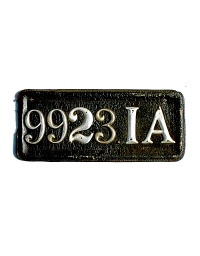 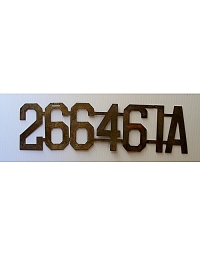 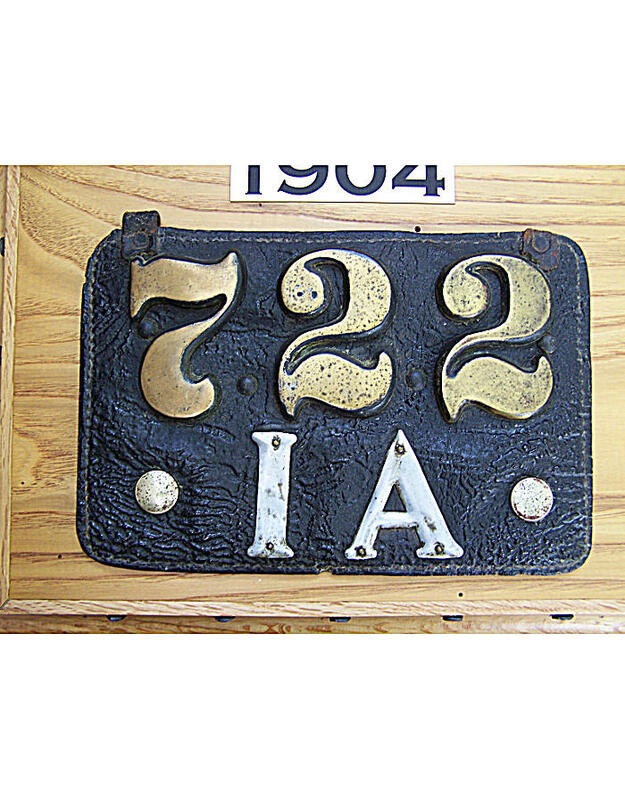 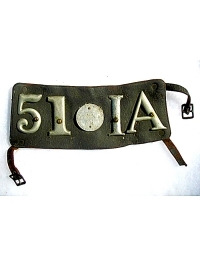 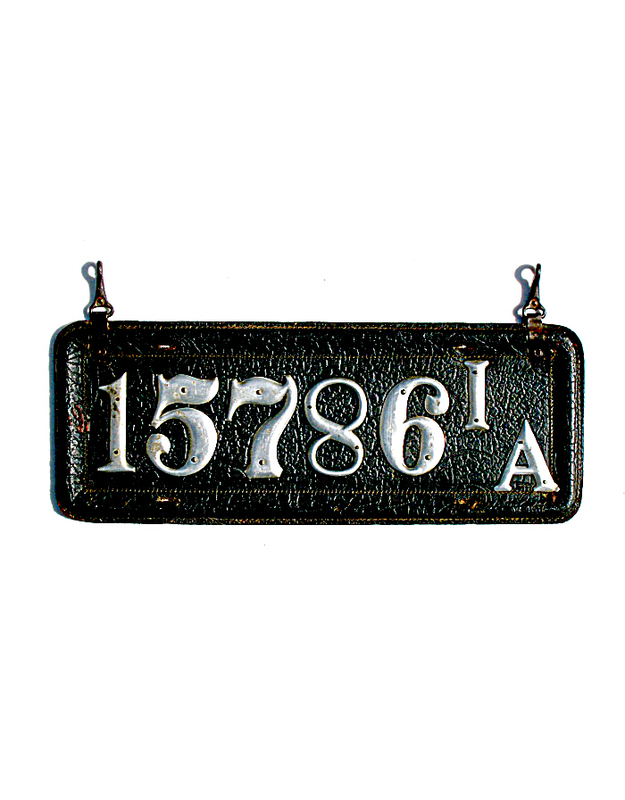 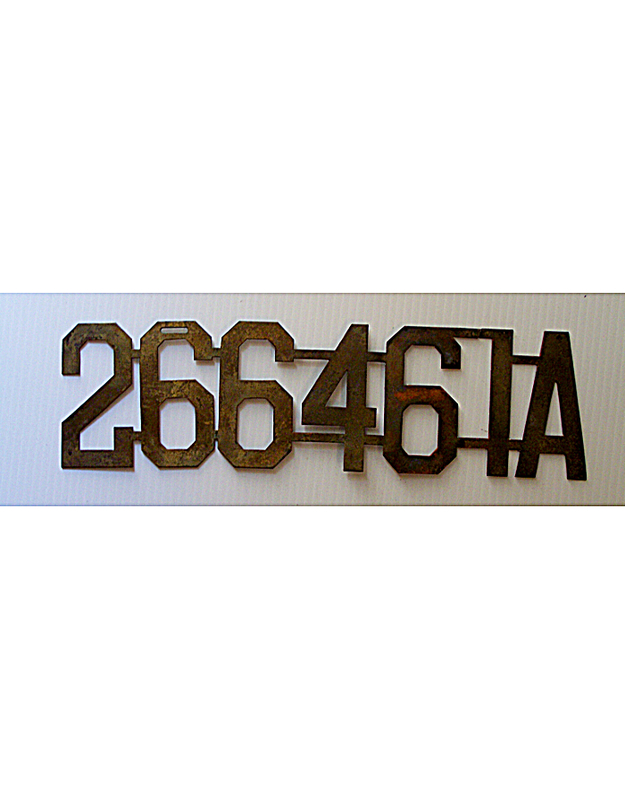 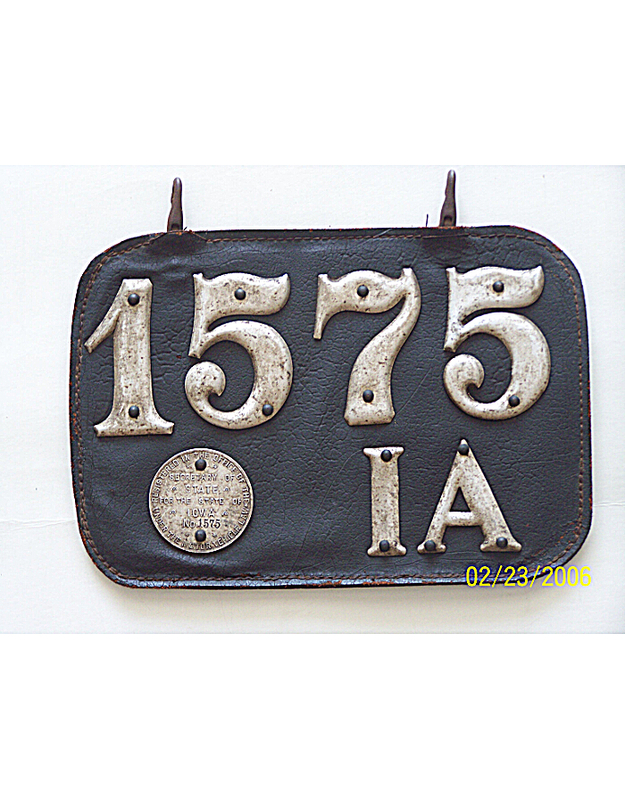 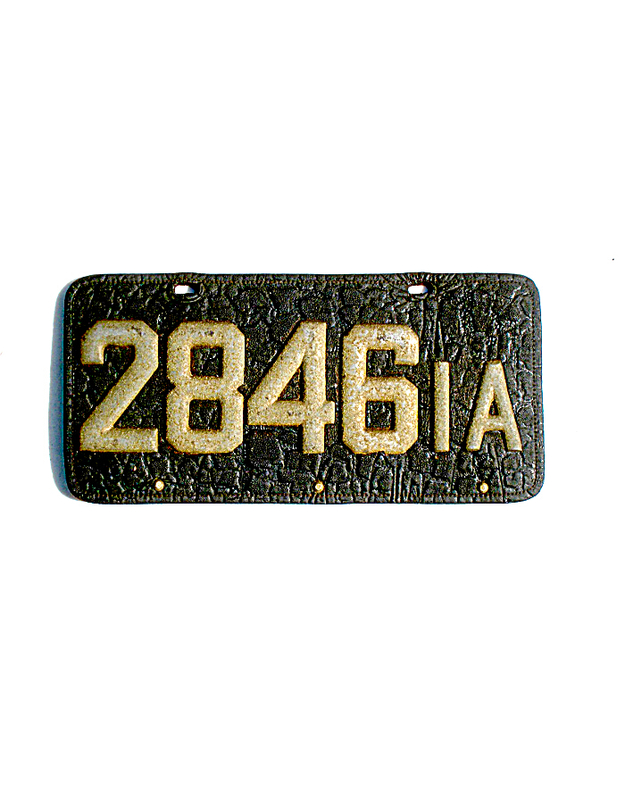 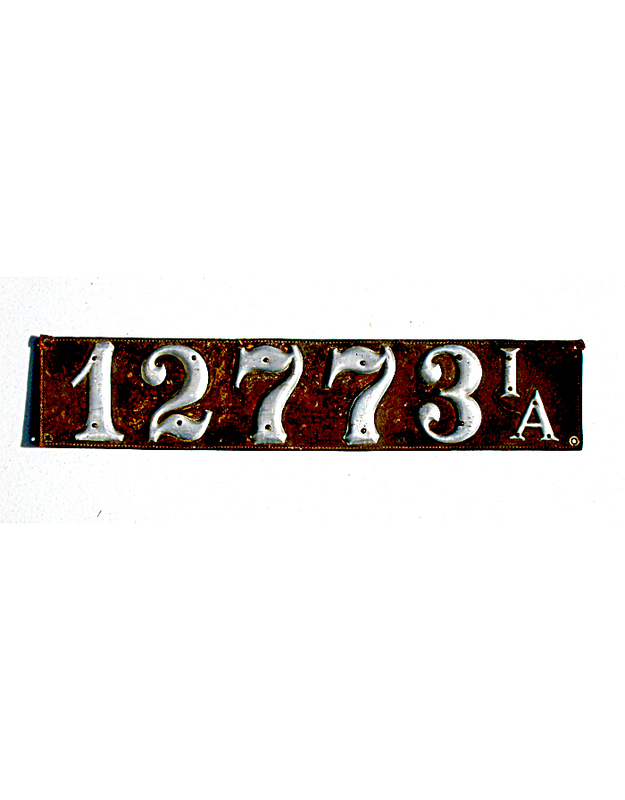 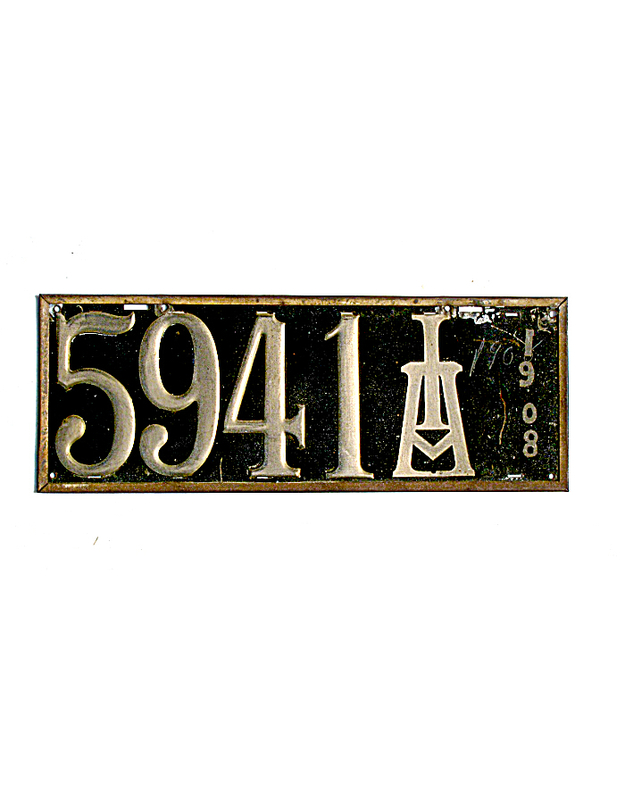 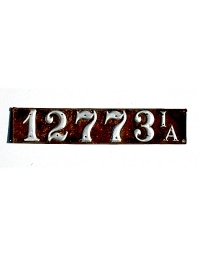 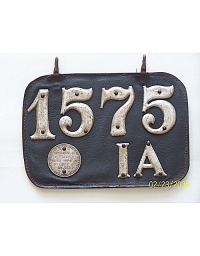 By far the most prevalent material for Iowa plates was leather, with numbers affixed to sheet metal being a close second.